Debates rage in the US over the superiority of waffles versus pancakes. Poll the global community, though, and the answer becomes obvious: pancakes. While several countries have their own takes on waffles, traditional pancake recipes span the continents, incorporate more creative flavors, fall on both sides of the sweet-savory divide, and come in all different shapes and sizes, proving just how seriously the world takes this delicious staple. Take note IHOP: Each of these 13 delicious international dishes is more than worthy of a slot on your full-stack menu. There isn’t much we can tell you about crepes that you don’t already know, but we’ll never tire of praising these paper-thin French pancakes that can brighten up breakfast or snack time as easily as they round out dinner and dessert. Classic combos include powdered sugar and lemon, banana and nutella, and jam but there’s no limit to what can be — and many a Breton crepe-maker has — stuffed inside a crepe. Galettes are crepes’ savory sisters. 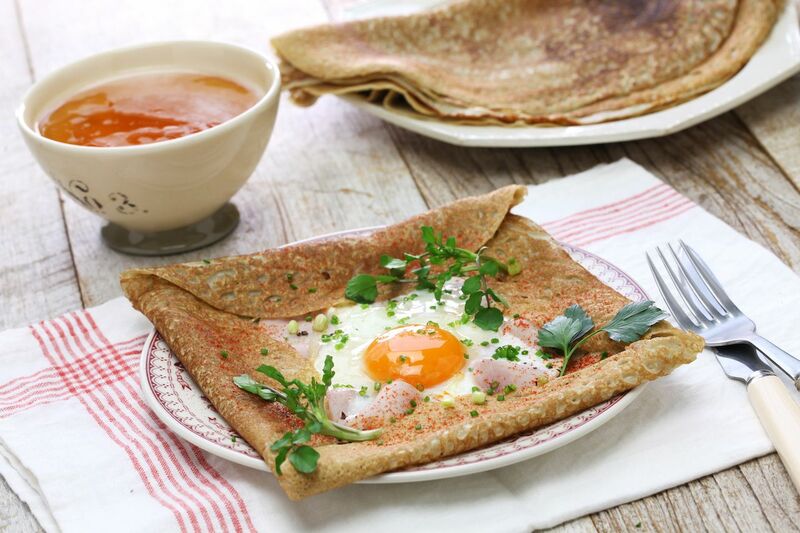 Made with buckwheat flour, galettes are often topped with eggs, ham, sausage, cheese, and made for a delicious and filling meal. Both crepes and galettes are traditionally accompanied by Breton cider in small bowls called bôlées. Thicker than a crepe but thinner than an American pancake, this Dutch treat turned South African staple is just the right amount of filling. Pannekoek can be rolled up with sweet or savory fillings or eaten plain with a sprinkle of cinnamon-sugar mix. They’re best eaten hot out of the pan, particularly as a rainy day treat according to some. A theory we’ll happily test. 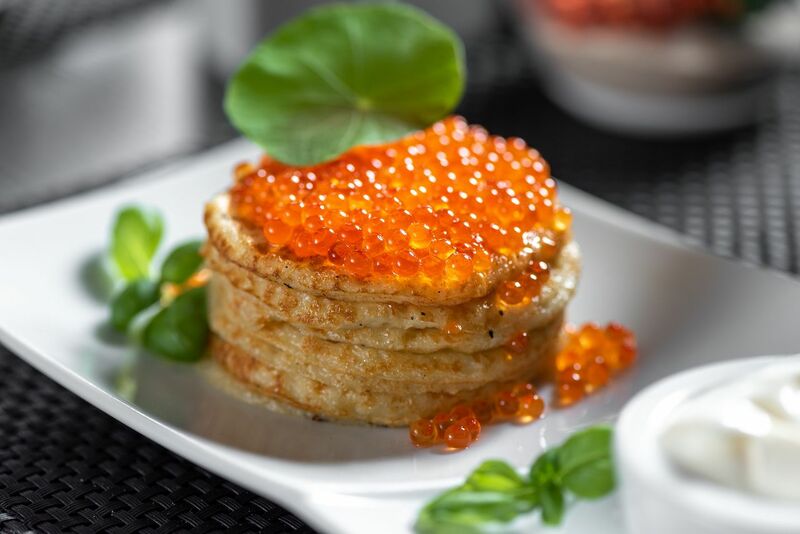 Blinis are what happens when you treat a buckwheat pancake like a cracker, and we have Russia to thank for the welcome indulgence that is a creme fraiche and caviar or smoked salmon-topped blini. Treacly toppings like honey or jam are equally tasty when you have a sweet tooth. 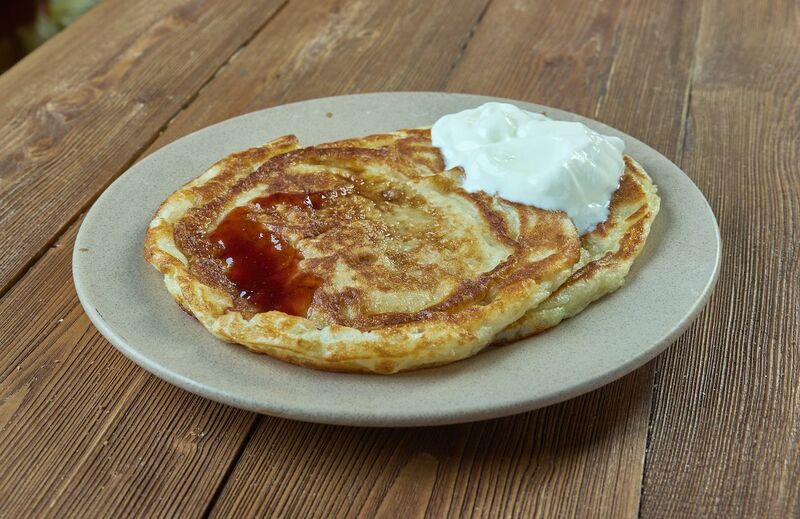 A relative of blinis, blintzes are another take on pancakes we owe to Russia, best enjoyed with cheese, berries, or both. Japanese pancakes are no joke. They’re insanely fluffy, extremely delicious diet-destroyers that make a full stack of buttermilk pancakes look like a kiddie meal. The texture has an airy, spongy, souffle-like quality that also helps with their impressive height. Some add Japanese mayo to achieve extra fluff while others consider this blasphemy. The only real sin here would be not tasting these Japanese showstoppers yourself the next chance you get. 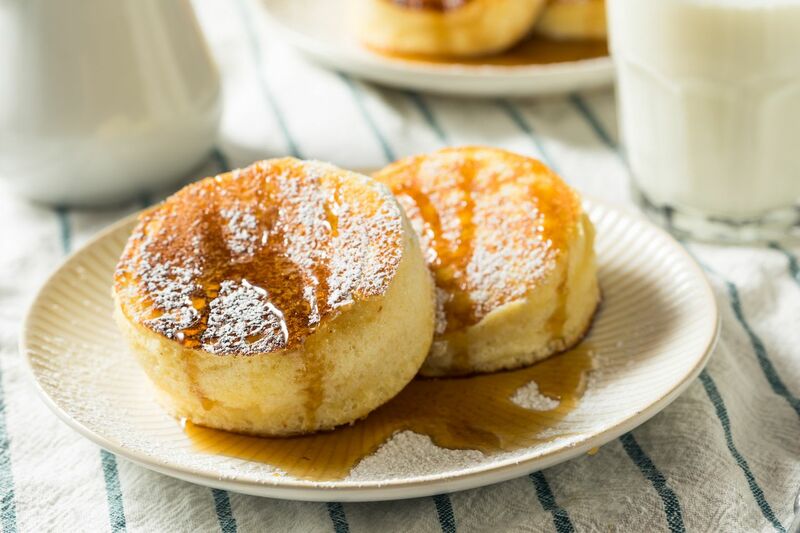 The biggest differences between Mexican hotcakes and American pancakes are the use of cornmeal and addition of cinnamon south of the border. That, and the toppings. While maple syrup is king in the US, condensed milk is a more common slathering agent in Mexico. Otherwise, the two look largely the same and are every bit as hunger-inducing as the other. Somewhere between a crepe and a flatbread, this Maghrebi delicacy is a go-to breakfast in Morocco and North Africa in general. Msemmen has a squarish shape rather than the traditional circular one. Once cooked, msemmen is nice and chewy and particularly satisfying when paired with a mug of mint tea. 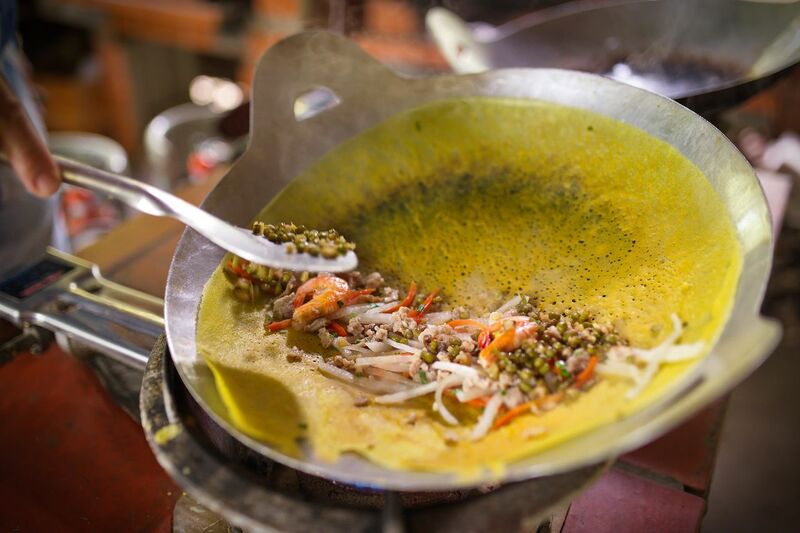 You won’t see this savory, sizzling pancake on many breakfast menus, but it’s a solid lunch option in Vietnam and Cambodia for both vegetarians and meat eaters. 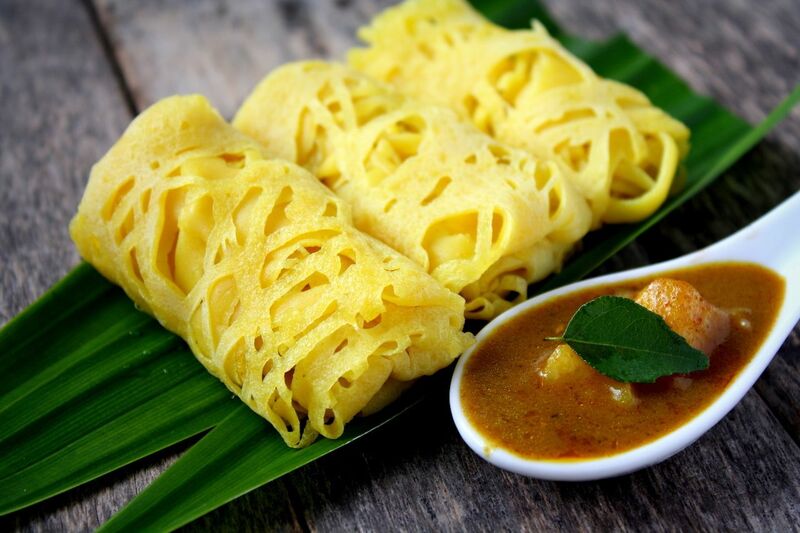 The rice-flour pancake is spiced with turmeric; stuffed with bean sprouts, greens, and optional proteins like pork and shrimp; and then garnished with herbs. The name bánh xèo roughly translates to “sizzling pancake” for the sound the batter makes when it hits the pan. 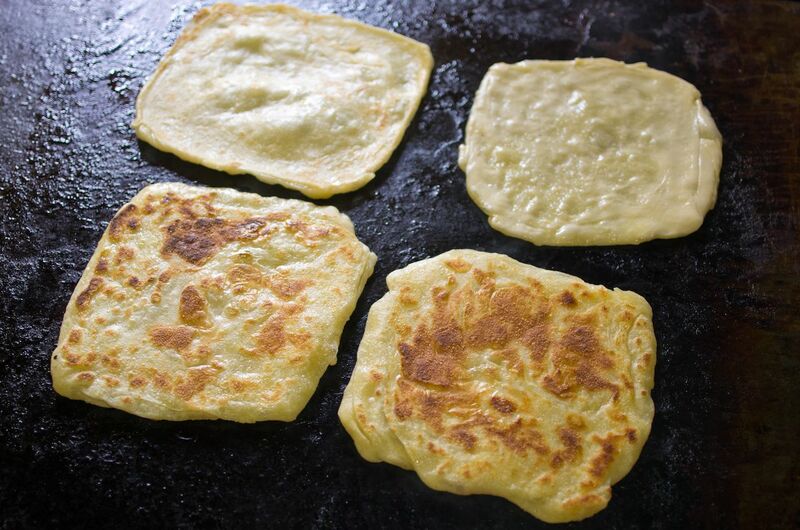 Costa Rica’s corn pancakes can just as easily be served at lunch and dinner as well as breakfast. It’s a choose-your-own-adventure dish of sweet or savory that’s made with a base of fresh ground corn rather than flour. For the sweet version, add sugar to the fresh corn and milk mix. For savory, go with garlic, onion, and sour cream. 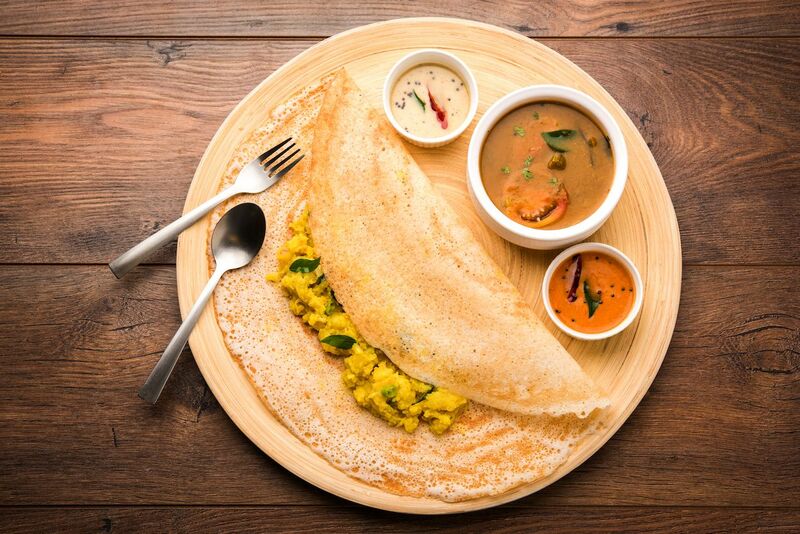 This looks like your everyday crepe, but there’s one key difference: Dosas use a batter that’s fermented overnight, which gives them fluffier texture and slightly sour flavor. The batter is made with rice, black gram, and fenugreek seeds. When cooked, the batter is spread in a circle around the pan just like what you see people doing with crepes. 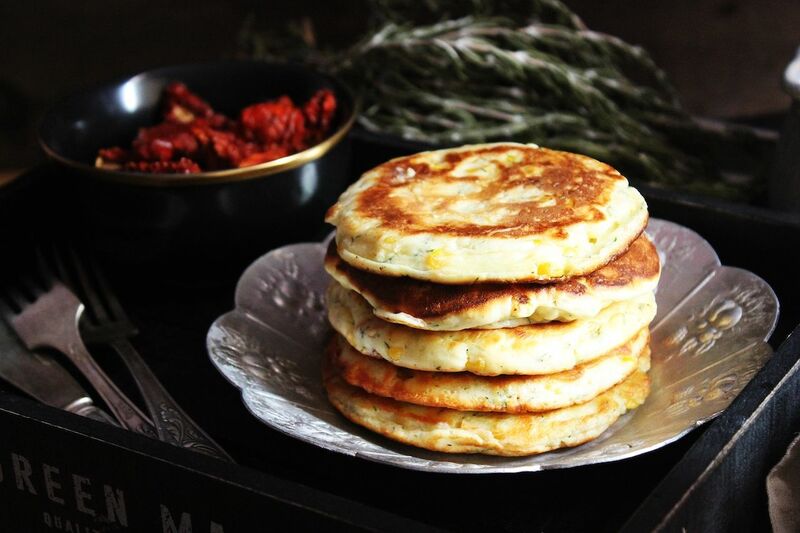 The thin pancake tastes great wrapped around pretty much any cheese, meat, or spiced filling such as a lentil dal. 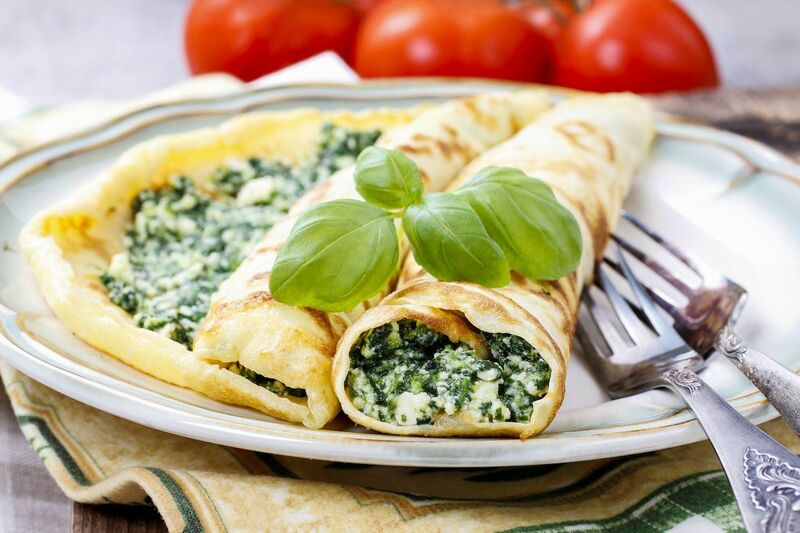 The Italian version of crepes are almost always savory, unlike their French counterparts. They’re primarily served in Tuscany, where they sometimes are colloquially known as pezzole delle nonna, or “grandma’s handkerchiefs.” Crespelles are made with wheat flour or chestnut flour, eggs, and milk, and are cooked thin. When done, they’re often rolled and filled with ricotta cheese, lemon, parmesan, and other spices, and can sometimes be served in brodo, (broth). 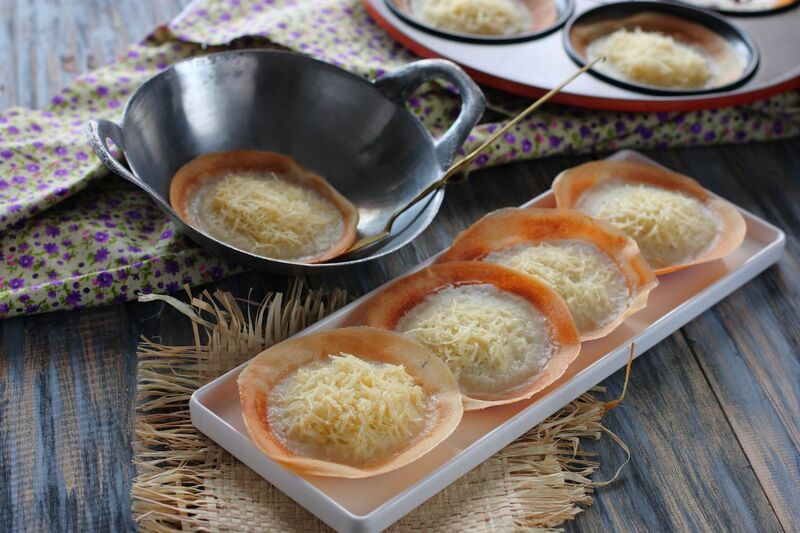 Served as a street food snack more often than breakfast, serabi is an eggless pancake made with rice flour and coconut. Vendors cook them in little molds for a consistent size, kind of like a dollar pancake, and only one side touches the pan. Serabi can be filled with savory ingredients, but it’s typically served with a sweet coconut milk and sugar syrup, and, like the best Southeast Asian desserts, is occasionally green from pandan. 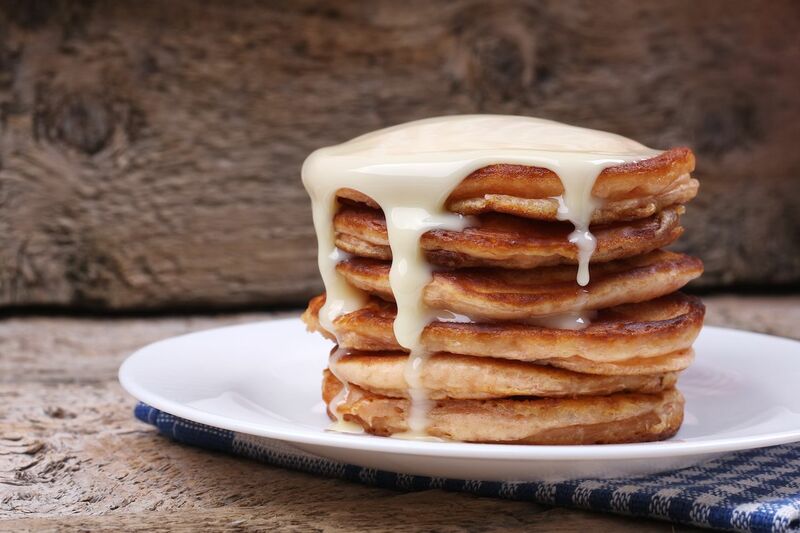 In Wales, you can’t have Shrove Tuesday (also known as Pancake Day) without crempogs. They’re similar to the pancakes you find in the US, and are made with flour, buttermilk, yeast (baking soda for faster crempogs), vinegar, egg, and butter. And while they’re inextricably linked to pre-Lent foods, there’s never a bad time for a crempog. Roti jala translates to “net bread,” and its appearance is all you need to understand why. 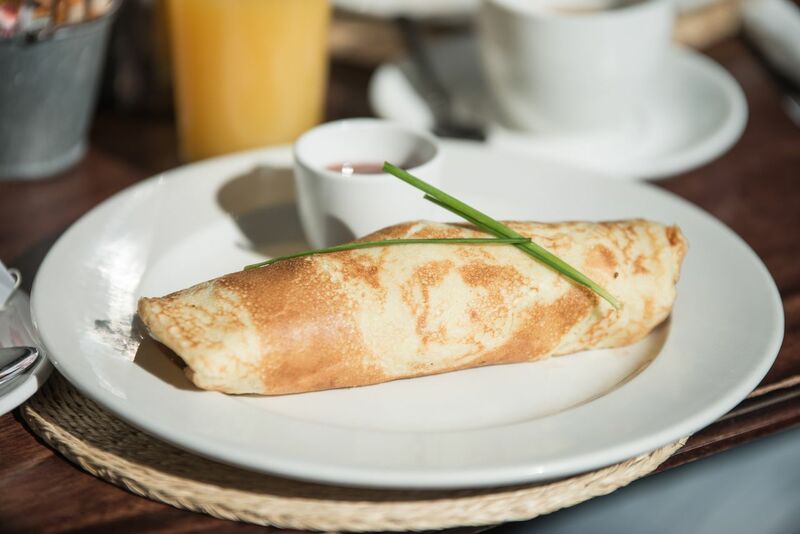 The small, rolled crepe is home food that’s typically served midday with tea or alongside meat curries. It’s made with flour, turmeric, egg, and coconut milk. The key is getting the texture and shape just right. To do so, the batter is poured from a squeeze bottle to make lacy layers, which is left on the oiled pan just enough to cook through, but not so long that it gets crispy.